Wanna know the car that stole the 2014 NY Auto Show? Spoiler: you’re looking at it. 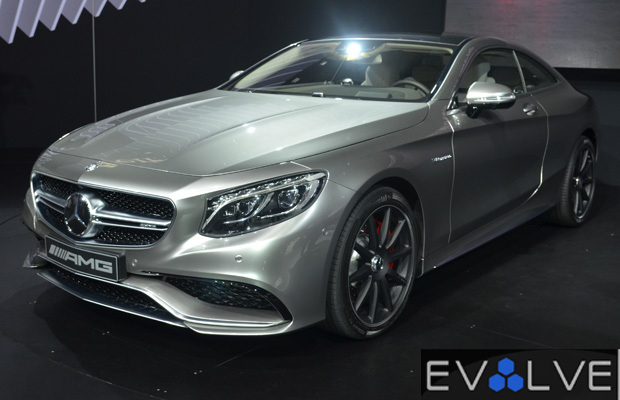 The 2015 Mercedes-Benz S63 AMG Preview debuted in the Big Apple in the Jacob Javits Center, leaving everyone on the show floor stunned over its striking beauty. A monstrous hand-built, twin-turbocharged, 5.5-liter V8 engine capable of pumping 577hp and 663 lb-feet of torque that comes harnessed with a seven-speed AMG Speedshift automatic transmission—are you serious? Mercedes-Benz is dead serious. Rummage through the crowd of thirsty media, EvolveTV kicked it with Product Manager for AMG, Branden T. Coté, to get the 411 on the high-performance luxury car. Take a look as we step inside the 2015 Mercedes-Benz S63 AMG.